If you started your gaming career in a land based casino enjoying all the sights, sounds, and excitement it had to offer and you just can’t get enough then there’s some good news ahead of you….now you’ll always be able to get your fill as live casinos are the perfect way to take in everything that a land based casino is able to offer, except you also get to do it from the comfort of your very own home! Live casinos have only really been possible in recent times due to the developments in live streaming services which have now meant any player will be able to log in and watch a livestream of a particular dealer with absolutely no lag or connection issues at all which means you’ll be able to soak in all of the atmosphere a casino has to offer without any worry it will come to an abrupt close. Even if you’ve never ventured into the online world before you’ll find that live casino’s are incredibly intuitive to use and are a brilliant gateway into using an online casino in general. One of the bigger perks you get from choosing a live casino to do your gaming at are the bonuses site’s will offer you as you sign up with some even forking out as much as a thousands pounds or so as their welcome bonus. When you find the site and welcome bonus you desire simply head to that site’s homepage and look for the tab marked “live casino” which can sometimes be found in the games section of a site. 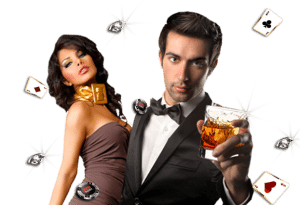 It’s this section here that you’ll find everything you’re looking for when it comes to live casino games and when you first open the page up you might be astounded at just how much choice you actually have. While at a regular casino you may only have a handful of tables to choose from at any live casino there will be a choice of up to a hundred unique tables to play at! Some casinos may offer less while some may offer more but that’s more to do with the software provider each site chooses however the end result is still the same – you have a lot more choice! Typically a live casino will start by asking you which game it is you want to play and you’ll have the choice of all the major games like Blackjack and Roulette as well as some of the lesser played games like Baccarat and Sic Bo too. Even once you’ve chosen your game you’ll find there’s many variations of that to choose from so if there’s a version of Blackjack, Roulette, or Poker you enjoy the most you can be rest assured a live casino will have it. Finally you will then be shown all the tables that offer that game and it’s up to you to choose which dealer it is you’d rather play with. Once you’ve made your selection the fun can begin as you’ll then be beamed right into the casino itself as your dealer and table will appear on the livestream. When it comes to the playing you’ll find it’s incredibly easy and intuitive to use so you’ll never find yourself stuck on what to do. To make things a little easier if a game requires a deck of cards the deck will be supersized so everyone can clearly see it even if you’re playing through mobile and the dealer will always speak out the action too so nobody’s ever lost. Making bets is a rather simple process and all you need to do is look for the set of chips that will be on the edge of the screen, click the chip you want to bet with, and then click on the table where you want to place that bet. It really has been made that easy and you’ll probably even go to make the motions to place the bet before even asking yourself how you bet. The dealer is someone you can talk to at any point you like through the game’s chat box and you’ll be able to hear them speak as they reply to you in real time. When a hand or spin is over any winning bet will be instantly paid out and in your account ready for the next round. Finally, if you’re ever done with the table you don’t even have to announce your departure as you can simply close the window to be done with the action. This will usually take you back to the live casino lobby where you can look for another table or call it quits for the day. This is the be all and end all of live casinos and if you’ve understood what we’ve just told you then you won’t run into any problems when it comes to playing at a live casino which means the only thing left to do now is go and play!